Come deep into the Haunted WareHouse this Halloween as we throw a massive party to celebrate! 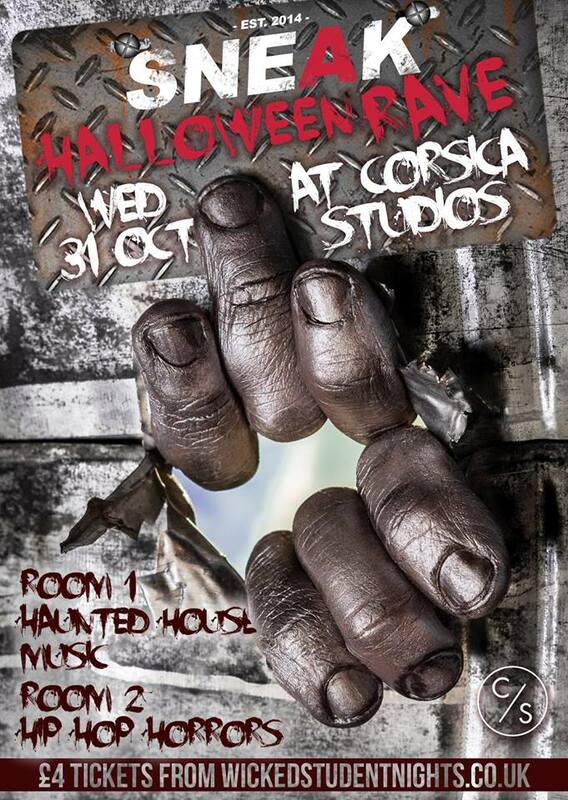 Join us at Corsica Studios for London’s Scariest Rave. since 2005, Corsica Studios is known for its intimate atmosphere and solid sound systems. Get Ready to dance around the cobwebbed speakers in your Scariest Dance Wear. This Event Will SELL OUT! Last Year SNEAK was Sold Out in 2 Venues at once so don't miss out!